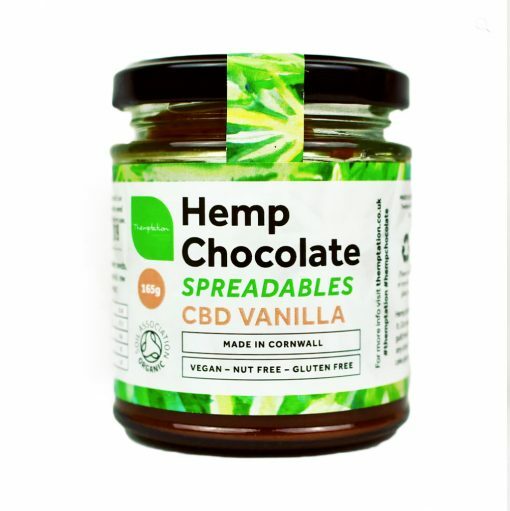 Hemp Chocolate – Spreadable’s! Spread it, dip it, LOVE it. 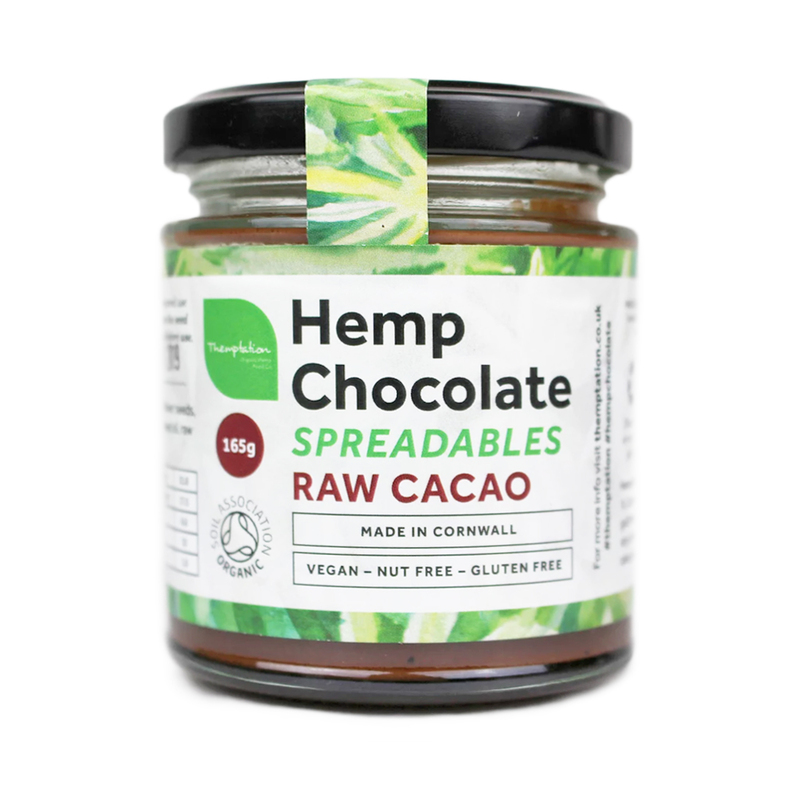 Vegan and nut free dark chocolate spread using raw hemp seeds, coconut sugar & raw cacao powder! Think n*tella but better, hemp seed butter but tastier – great on toast, as a cake glaze, dipping fruit in or simply spooning into your mouth! 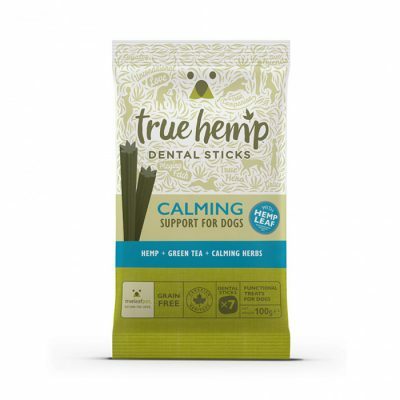 Jam packed with plant based protein, fibre and essential minerals and vitamins – its truly guilt free food at its best. 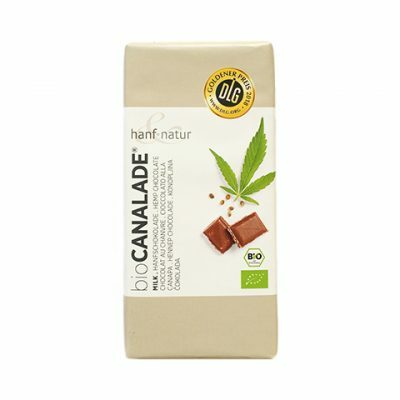 Even better all three are certified organic! 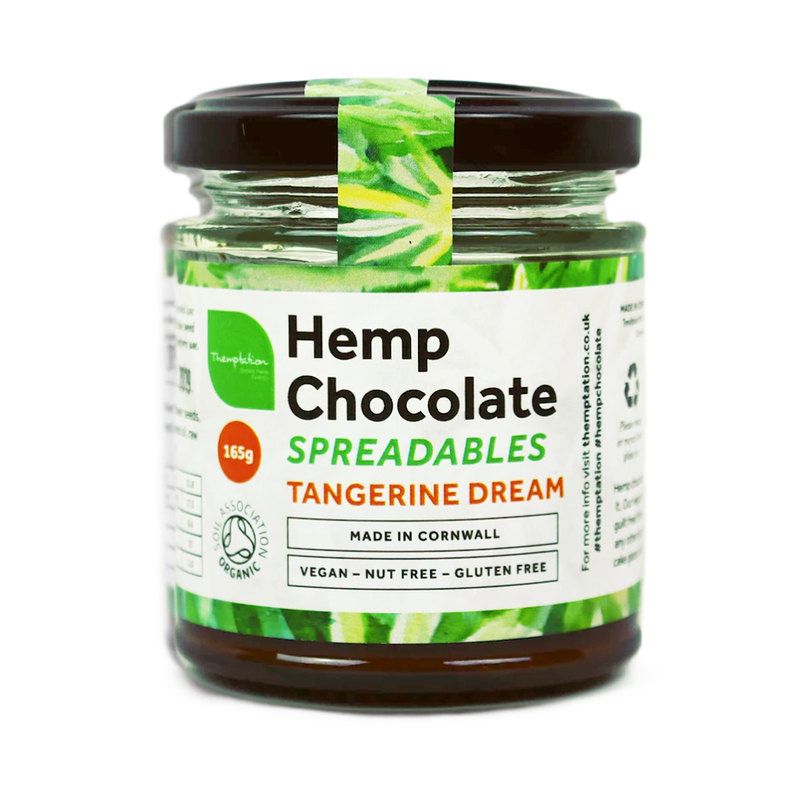 3 flavours – Raw cacao, Tangerine Dream or CBD Vanilla. 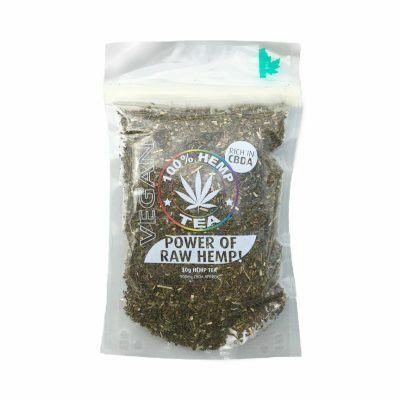 Raw Cacao 165g – Raw hemp seeds, sunflower seeds, coconut sugar, hemp seed oil, rapeseed oil, raw cacao powder. Tangerine Dream 165g – Raw hemp seeds, sunflower seeds, coconut sugar, hemp seed oil, rapeseed oil, raw cacao powder, orange oil. CBD Vanilla 165g – Raw hemp seeds, sunflower seeds, coconut sugar, hemp seed oil, rapeseed oil, raw cacao powder, CBD oil, Vanilla extract. 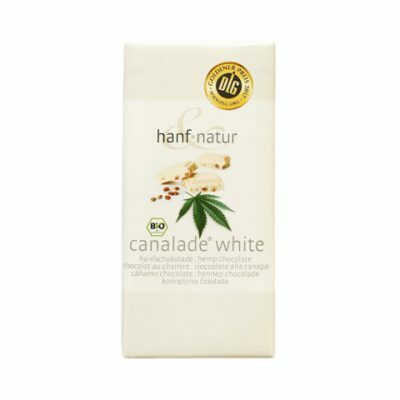 Per 100g Energy 2252KJ, Energy 645Kcal, Fat 44, Saturates 8, Carbohydrate 31, sugars 17, fibre 7, protein 15, salt 1.